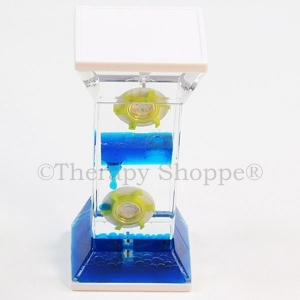 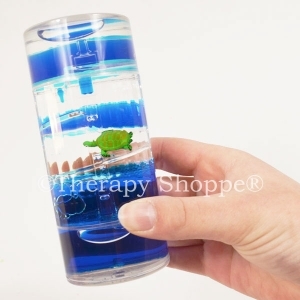 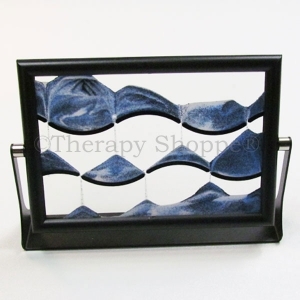 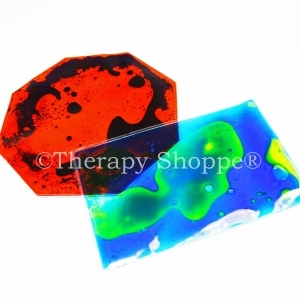 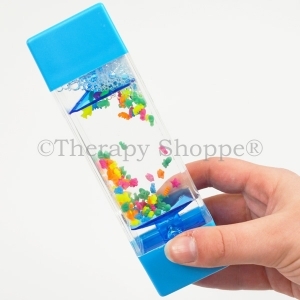 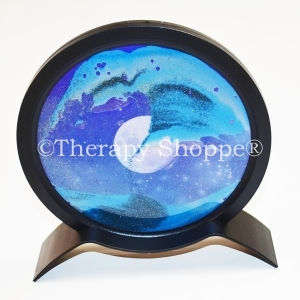 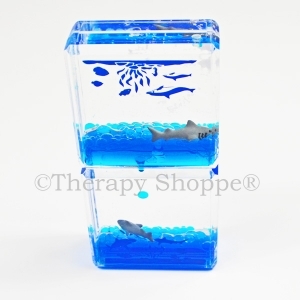 Colorful sensory gel timers with moving parts that provide soothing visual input for home, school, and the office. 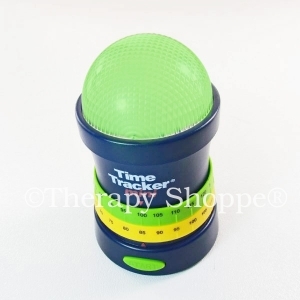 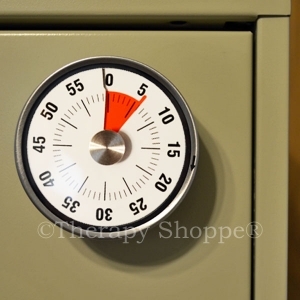 These neat little timers make a nice 'n calming self-regulation tool for children and teens –and a great stress-reliever desk toy for homework, office breaks, meetings, or to fidget with during long phone calls. 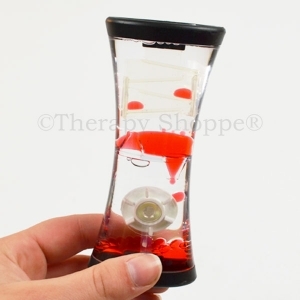 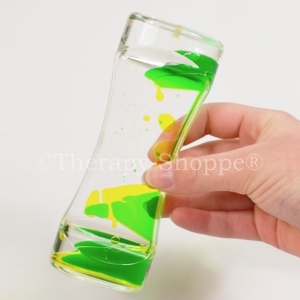 Liquid Gel Timer colors and designs may vary slightly and are subject to change periodically. 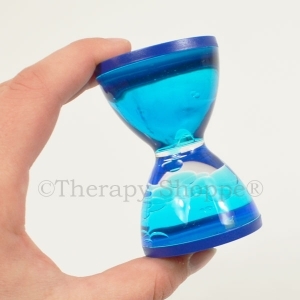 Each one measures around 4-1/2". 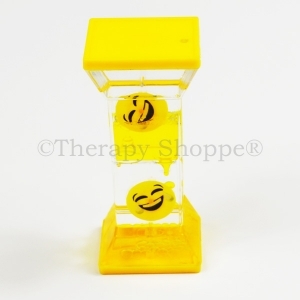 Constructed of sturdy plastic but may crack or break if dropped or hit. 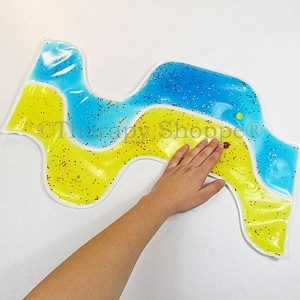 Recommended for ages 5-up. 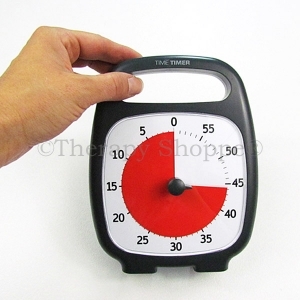 It takes approximately 35 seconds to run its course.